Powerful, intuitive, and affordable sales commission tracking software. Automate your sales commission tracking process and maximize performance! Plans can be quickly created, modeled, and rolled out to meet changing business needs. Complete coverage for any compensation plan design to ensure you have your sales team selling to drive top-line growth. 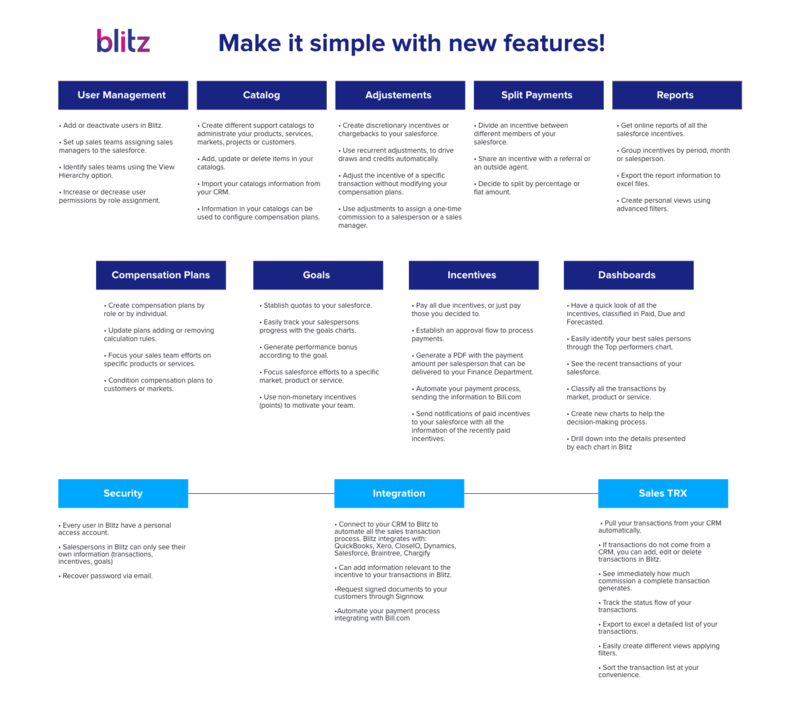 Blitz adapts as your sales commission plan changes and your company evolves. Blitz can be built into multiple CRM, accounting and related software solutions. Show us the system you use, and we will configure Blitz for your business needs. Get ahead, stay ahead with sales compensation analytics to design and forecast better sales commissions plans and deep insight around pay for performance.